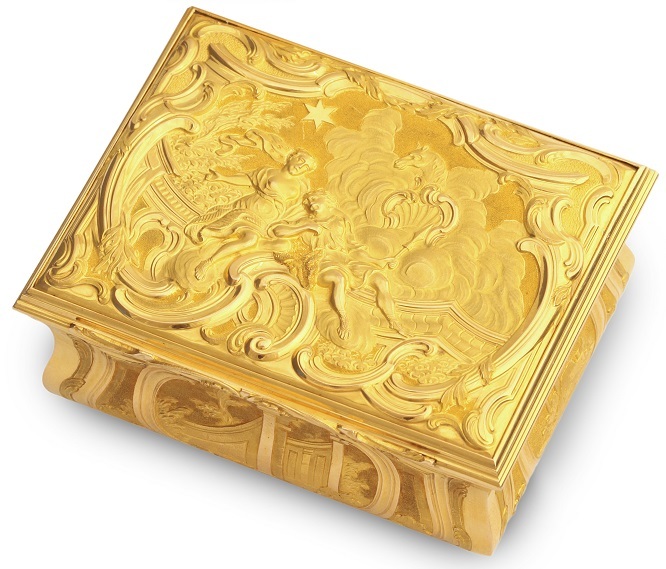 Rare George II finely chased gold box, the lid depicting Aurora abducting Cephalus. Maker’s mark GH, probably a member of the Harache family, 1754. Cf: Edgcumbe, Richard, The Art of the Gold Chaser in 18th-Century London, fig. 15.